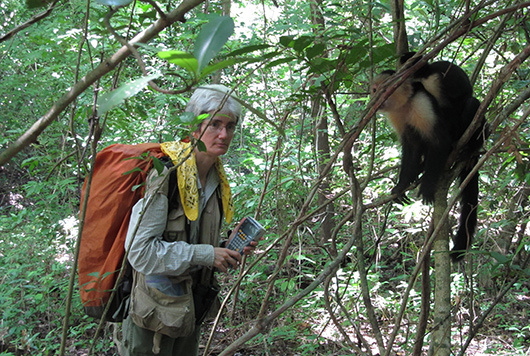 Susan Perry collecting data on Vishnu (a monkey that has been followed since birth) and her daughter Arjuna. 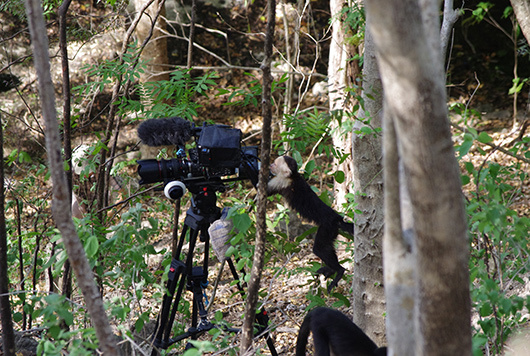 Juvenile male Johann (a particularly curious male) investigates a video camera that was left unattended. 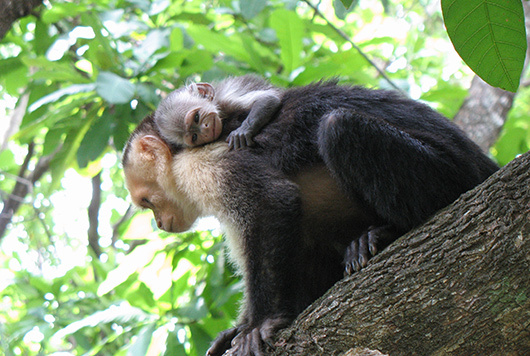 First-time mother Corta with her week-old baby Kamikaze slung over her shoulders. 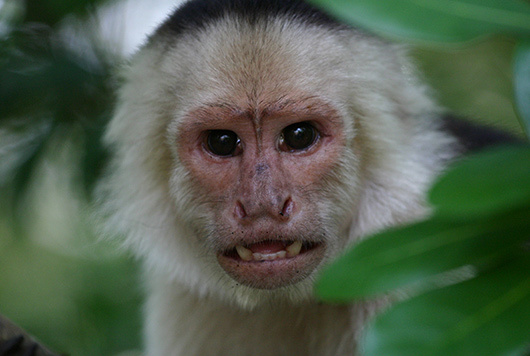 Brava, a young female from Pelon group, exhibiting a mild threat face. 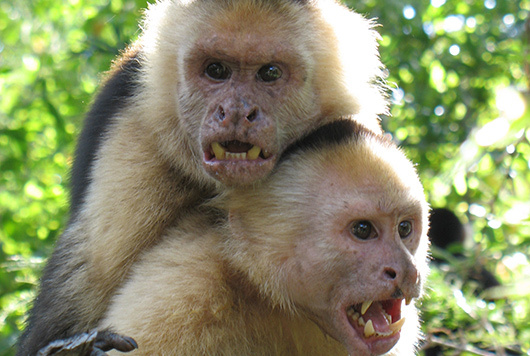 Long-term alpha male Fonz, “overlording” with his son, both exhibiting threat faces. This is a typical coalition formation posture. 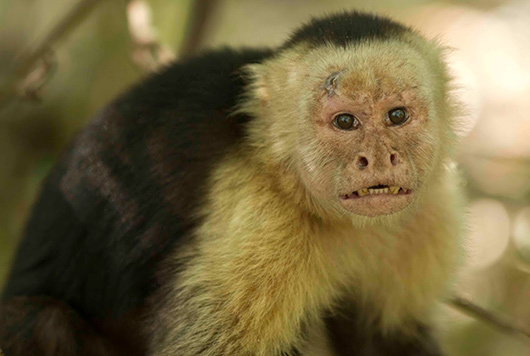 Jorge, the new alpha male of Pelon group, displaying the scars he acquired during his battle to defeat other males for the alpha male position. 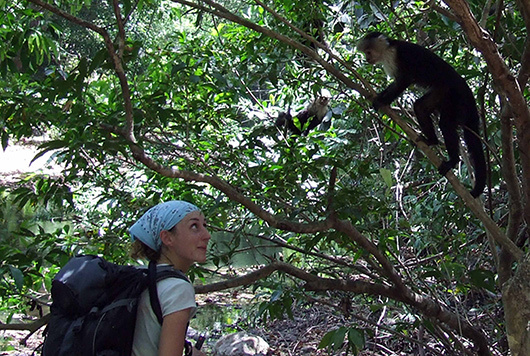 Susan Perry observes two monkeys forming a coalition. 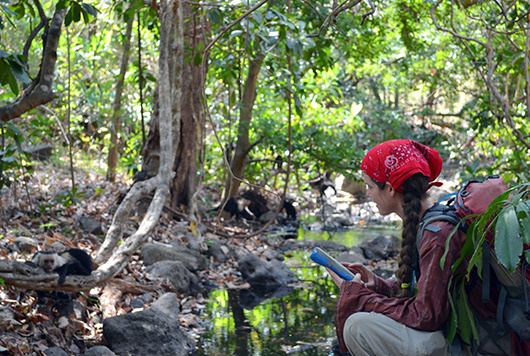 Field assistant Katie Feilen watches Mezcla, a particularly colorful alpha female of Rambo’s group and one of the oldest monkeys in the population. 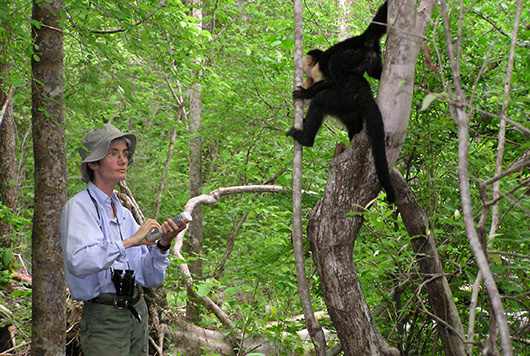 Field assistant Katie Feilen collects data on Toulouse, a young male that has been followed from birth, as he takes a bath. 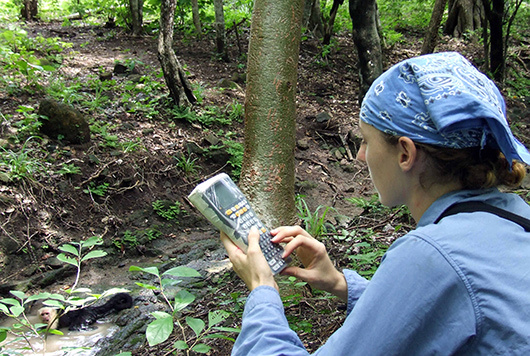 Ava Neyer collecting data from Duende, alpha male of Abby’s group, resting across the stream. 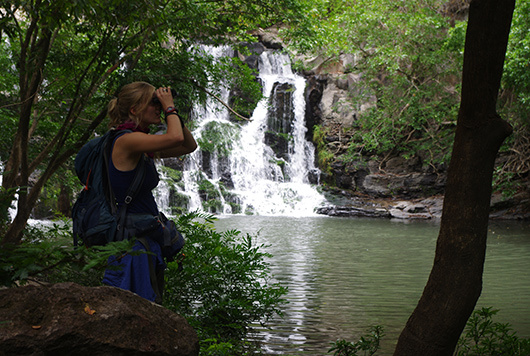 Field assistant Daniela Works observes monkeys near a waterfall.